Grand Central Publishing, 9781538729809, 208pp. 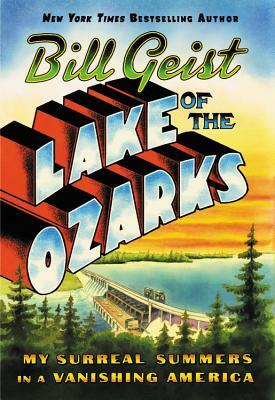 Bill Geist is the New York Times bestselling author of nine books, including City Slickers, Little League Confidential, The Big Five-Oh, Fore! Play!, and Way Off the Road. Geist has won numerous Emmys and in 2011 was awarded a star on the Hollywood Walk of Fame for the hundreds of "singular, informative, entertaining" pieces he has done since joining CBS in 1987. He was awarded the Bronze Star for his service as a combat photographer in Vietnam in 1969. In 2018 he retired from CBS having battled Parkinson's disease for twenty-five years. Geist lives in Riverside, Connecticut, with his wife, Jody. They have two children, Willie and Libby, and four grandchildren. "It is a sure sign that a book is worthwhile if you can sense the author is having fun writing it. [Geist] just sits down to chat a while. More books should celebrate unbridled nostalgia like this one does."